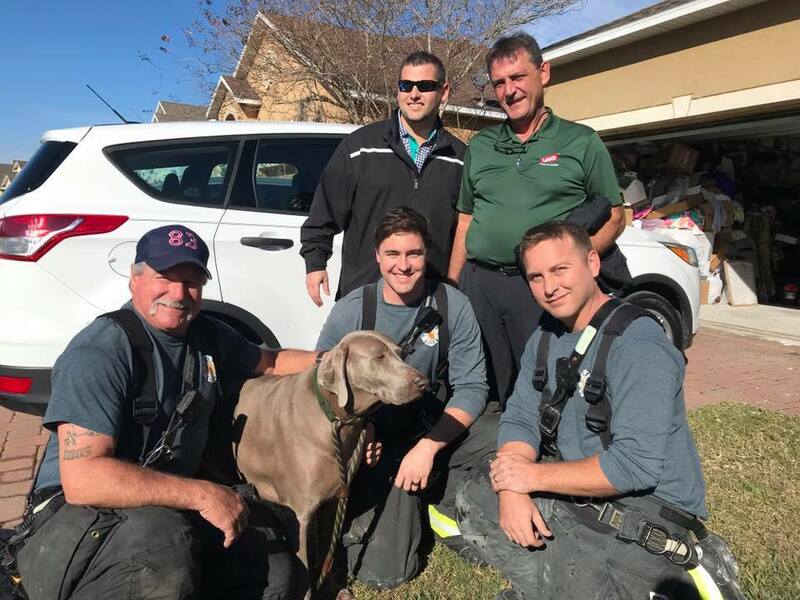 (DeLand, FL) – A six-year-old Weimaraner was rescued by firefighters responding to a house fire on West Fiesta Key Loop Wednesday, January 16. Units from the DeLand Fire Department and Volusia County Fire Services responded shortly after 8:30 a.m. Wednesday to 231 West Fiesta Key Loop after reports of smoke coming from the structure. 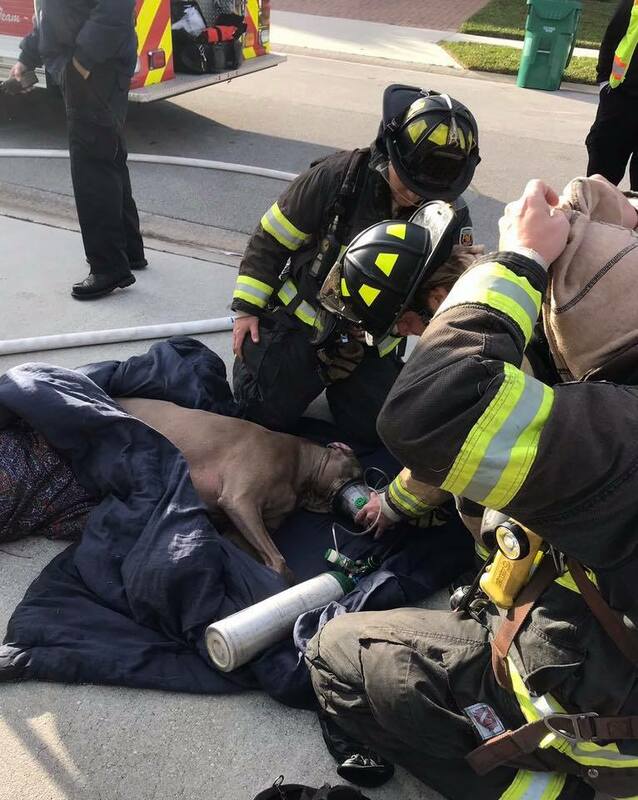 Firefighters were able to extinguish the blaze and were able to rescue Joker, a six-year-old Weimaraner, from the home. He was treated on scene, given oxygen and is expected to be OK.
No other injuries were reported. The house is considered uninhabitable due to the damage. The City of DeLand Fire Marshal and State Fire Marshal’s Office is investigating the cause of the fire.